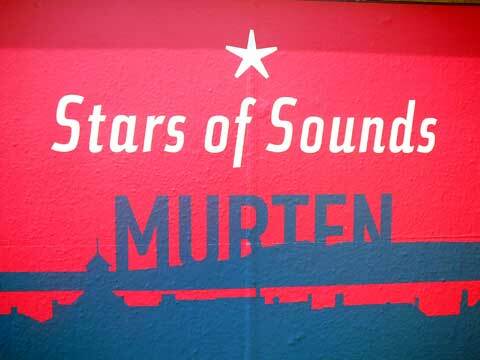 The Stars of Sounds Murten music festival proposes every summer an impressive lineup of international and local modern music artists. The festival takes place on the parking Pantschau in Murten / Morat. The stage in Murten is right by the lake, which provides a special atmosphere and a very cool location. On the festival grounds you will find a diverse and attractive range of food and drinks. An early edition of Stars of Sounds is also organized in the main square of Aarberg (Bern) in June.